On the afternoon of November 22, 1963, Miss Rebe, our principal, made a PA announcement as we were sitting in Mrs. Cross’s third grade class. With a very sad tone of voice, she informed us that President John F. Kennedy had been shot and killed in Dallas, Texas. She didn’t give us much details, but even at our young age,we could understand that this was a great tragedy. As an act of remembrance, she also told us that we were immediately dismissed from school. The walk home with a couple of friends seemed longer and slower than normal. This was a great shock to me. I had never really experienced tragedy in my first eight years of life. I also had a fear that came over me. I felt quite insecure. It was the most personal death that I had experienced up to that time. When I arrived home, everything on the television was about our President and his death. For the next several days, my family stayed glued to the television. We saw the shooting of Lee Harvey Oswald. We saw the funeral of our President. In my eight year old mind, it seemed as though my world had changed. 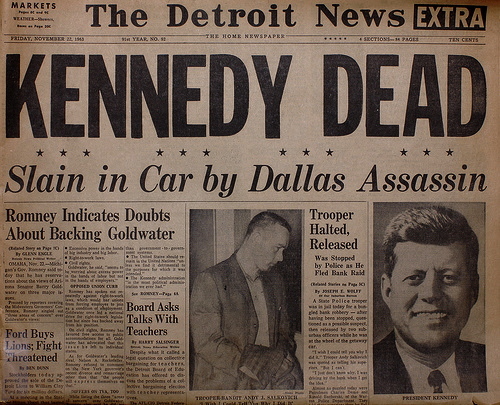 This memory of the Kennedy’s assassination was my most vivid memory of third grade, but I did have a few others. Third grade would introduce me to Mrs. Cross as my third grade teacher. We would like to make fun of her name behind her back. She kept a very well-disciplined class room. I don’t ever remember her becoming angry, but we didn’t want to cross her either. Third grade would be my first opportunity to be in a play. The play that was chosen for us to perform was Alice in Wonderland. I must have failed the tryout for an acting part because they made me the narrator for the play. Perhaps, my loud voice, which I still have today, had a part in my being selected a narrator. The best thing about being the narrator is that I didn’t have to remember any parts. because I could read my parts from a script. I don’t remember how well the play went, but I am sure every parent was proud of their children who participated in the play. 2nd or 3rd Grade School Photo. 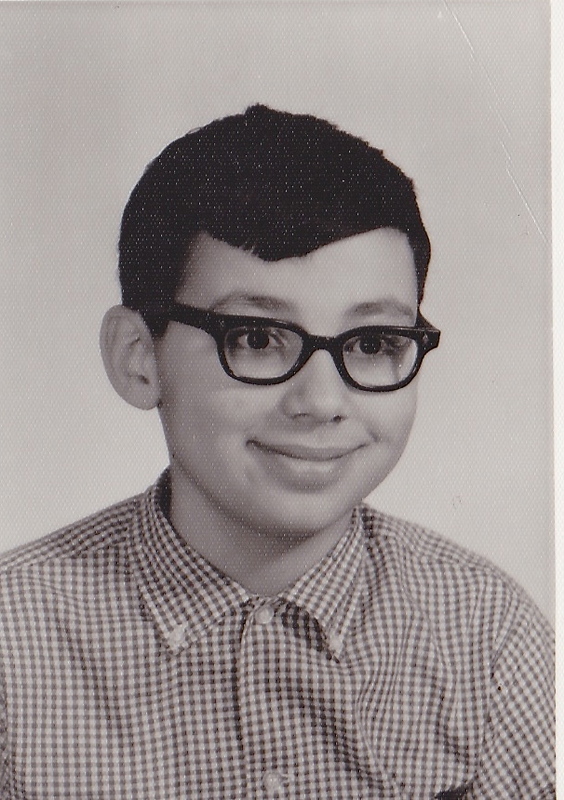 Yes, I started wearing glasses at an early age! Mrs. Cross did teach us a lot of things, but there is only one thing that I remember with any clarity. I had the habit of answering questions from my book in sentence fragments, such as: “because of the wind.” Mrs. Cross brought it to my attention that I should write a full sentence in answering my questions. To this day, I am quite sensitive to this matter. By the third grade, I was also able to walk to school with a couple of friends. I enjoyed the walk to and from school because we would pass the Uptown Radio Company on Woodward Avenue. It was interesting to look at all the televisions, stereos, and other stuff in the window. We would also pass the Ferris Car Wash. The worst part of the journey was the dreaded tunnel on Second Avenue and Pilgrim. Not only was it a bit dark, but it also a had very unpleasant smell. After school ended in June, one of my best friends, Jonathan, would move away. Yes, I still had many of my neighborhood friends and we enjoyed playing out in the alley all summer long. I never wanted to see the summer end, but soon September came, and I would find myself in the Fourth Grade. This entry was posted in Highland Park Memories, People of Highland Park and tagged Dallas, John F. Kennedy, Lee Harvey Oswald, Midland Elementary School, Miss Rebe, Mrs. Cross, Second Avenue, Third grade, Uptown Radio Company, Woodward Ave. by markjemilbooth. Bookmark the permalink. I remember the walk and I remember being in trouble because I shouted out that “Nixon did it” in class when the announcement came over the speaker system at the middle school. OMG I also grew up in Highland Park the same time you did. I went to Midland, Ford and Highland Park H.S. I lived on LaBelle and had Mr. Bart as a teacher in 7th grade he paddled me once in the hall And Mrs. Rebe, she would spank be until I cried and yelled…she was very mean. My name is Paula Holmes and I also went to Ford Park in the summer to play there. Do you remember the animal tunnels and the arts and crafts that they had at the park? I once won a bike there….I think they felt sorry for me, because I had an old 1940″s bike and it was a mess. lol Thanks for the memories and stories. Thanks for going down memory lane with me! I am glad to write about my memories of Highland Park. I hope to start writing about my memories from Ford School soon! I hope the memories will be accurate!